Actor Matthew Morrison attends the premiere of 20th Century Fox's "Snatched" at Regency Village Theatre on May 10, 2017 in Westwood, California. 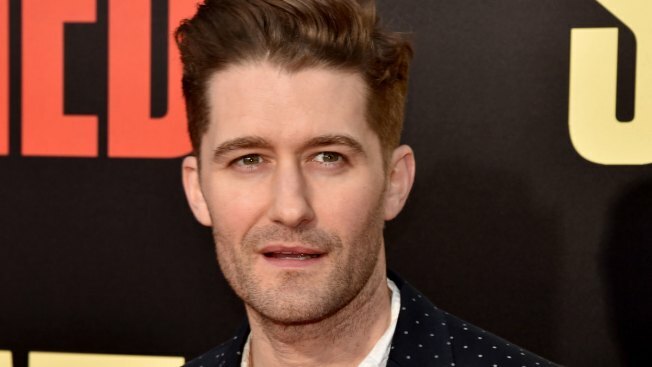 A video of alleged abuse of a dog on the set of Matthew Morrison's new movie has surfaced and the "Glee" alum says he is heartbroken by the footage and has called the producers to express his outrage. PETA posted the clip on Thursday, saying it appears to show a cage containing a German Shepherd suspended 20 feet in the air, then spun around by a crane and then plunged into a freezing river. The animal rights group said a whistleblower provided the footage and that it was shot in November for a scene for "Crazy Alien," which was filmed in China. The person said the director, Hao Ning, ordered two takes. TMZ quoted sources as saying that the dog did not appear to be injured, but was shaken up. "I've just been made aware and seen a video from the set of a film I worked on in China," Morrison, who plays the lead character in the sci-fi comedy movie, tweeted on Thursday. "My heart is broken to see any animal treated this way. Had I been on set or known about this, I would have made all efforts to stop this. I've called the producers to express my outrage." The film's director and the China-based production company, Dirty Monkey Films Group, have not commented. "PETA is urging the actors to hold the production accountable and calling for the public to boycott this film," the animal rights group said. "This scene should be cut, and Ning should commit to never working with live animals again. We're asking that the cast--including "Glee" actor Matthew Morrison--donate their salaries to animal-protection charities in China."